This book is so good, so poignant, so challenging, so real. You need to get your hands on it! You will not be wasting your time if you read this book. I'm a handful of chapters from finishing, so my book will be available for borrowing really soon. Any takers?! 1. It's helped me to understand why I think the way I do, as a result of living post Enlightenment. 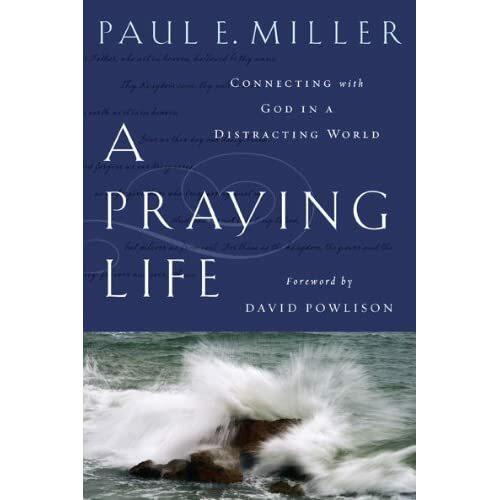 And why prayer sometimes seems so strangely disconnected from the rest of life. 2. It's given me new energy for prayer and praying for specific things, because God is the same yesterday, today, and forever and He hears and answers the prayers of His people! May we today begin to seize the corner of His garment, hold on tight, and enjoy the ride with our great, loving, mighty God!